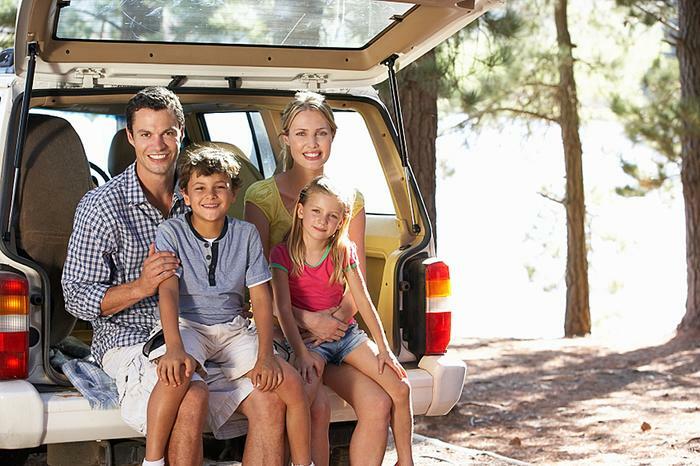 Family vacation with children, especially younger ones, can be a real challenge sometimes. Continuously caring for their safety and protection somewhat breaks the illusion of a perfect holiday where you sip cool drinks on the beach in the shades of the trees, listening to the sea waves. But with good preparation and a couple of little tricks, family vacation on the Adriatic will become a real pleasure for both grown-ups and kids. We will begin with travelling. If coming by car, in order to come to the Adriatic safe and sound without difficulties first you have to get a good rest and sleep. A driver must be well rested and prepared for possible traffic jams and unavoidable heat. When we speak about summer temperatures that are sometimes unbearable, it is best to travel when daily temperatures are more pleasant. The most important part of every travel is safety so be sure to have child seats, sun protection and enough hydration - supply yourself with enough water. If your children are small, make breaks often - it will also help the drivers to stretch themselves, get some fresh air and freshen up. And don't forget to have fun! You are going on vacation and you will make the travel easier for the kids (especially the small ones) if you bring their favourite toys or play a fun game that every family member can participate in! When you arrive to the Adriatic safe and sound, after you settle in and get some sleep, presumably the next destination is - beach! While we spend winter sitting in our offices and homes, when there is rain or snow falling outside and temperatures are low with night setting in early, we all fantasise about swimming and lying on a sunny beach all day long. Now when this time has finally come you have to take care of a few things to make your long awaited vacation a successful one. The most important thing is sun protection. Since the children skin is still sensitive, put the sunscreen very often. Don't forget a hat or a cap, and if possible bring or rent a beach umbrella. From 11 to 15 hours when the sun is extremely strong it is best to stay away from it. If you decide to spend an entire day on a beach, make sure to be under deep shade during those hours. Prepare a snack if going to a more remote beach, and if you are heading to popular ones, there will be enough food stalls and shops where food can be bought. But make sure to always have enough water under the Adriatic sun as it sometimes seems to have tropical strength and intensity. Don't forget about the fun, in car as well as on the beach. Ways to have fun on beach are endless. From renting jet skis, paddle boats etc. through buckets, shovels and rakes that will keep your kids occupied for hours to board games great for playing in shade. Sometimes you will need nothing better to have fun than playing with pebbles that you find on a beach or splashing in the sea that will bring smile on your children's faces. Just as long as you watch out not to splash someone else entering the sea who is not your family member.